South East London Wool & Textile Festival 2019 – A festival with textile artists, designers and makers taking part in South East London. A festival with textile artists, designers and makers taking part in South East London. #SELWAT is back, bigger, more vibrant and with wonderful creative flair for all those lovers of delicious colour, art, fun and experience. Wonderful weavers, embroideries, felters and wool-workers. 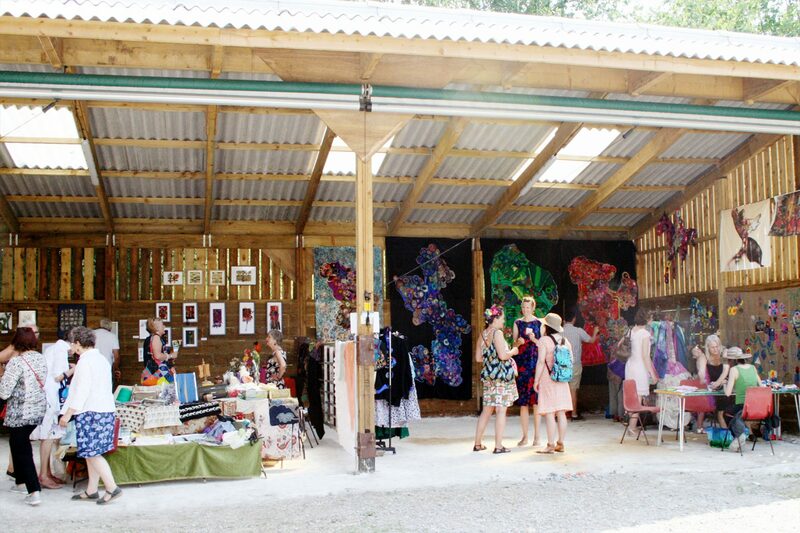 Textile Art, workshops and contemporary market on the beautiful 89 acre Farm. Meet local designers and makers, buy unique and exclusive products, and the materials to make your own creations . More details coming soon. South East London is home to a wide variety of people from different cultures and backgrounds. The area also has a rich history, with military associations with Greenwich and Woolwich Arsenal, and textiles being taught and created at Goldsmiths College and Ravensbourne University. South East London Textile Society is a group of local designers and makers with a love of textiles and the south east corner of London. We are working to explore and promote the cultural significance of textiles to the area and the people who live and work here. Follow us on Twitter @selwatinfoor join the Friends of SELWAT* Facebook Group (*South East London Wool & Textiles!) to keep up to date with what we’re up to.